Gold is all the rage this season! Gold accents are popping up all over the interwebs, reminding us that it is not an outdated color/style. In an effort to keep up with the times, I decided to try my hand at gold leafing. And when you add this technique to America’s favorite canning jar, you are sure to get a winner! 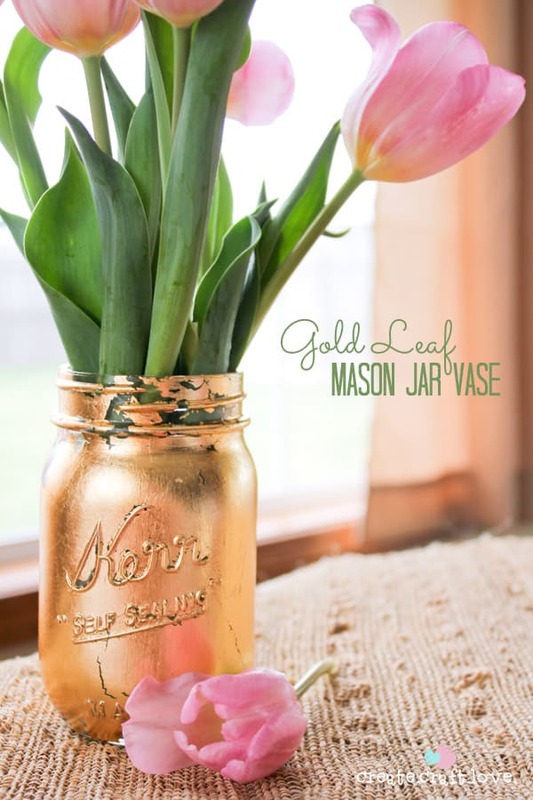 Keep up with the trends this spring with this Gold Leaf Mason Jar Vase! 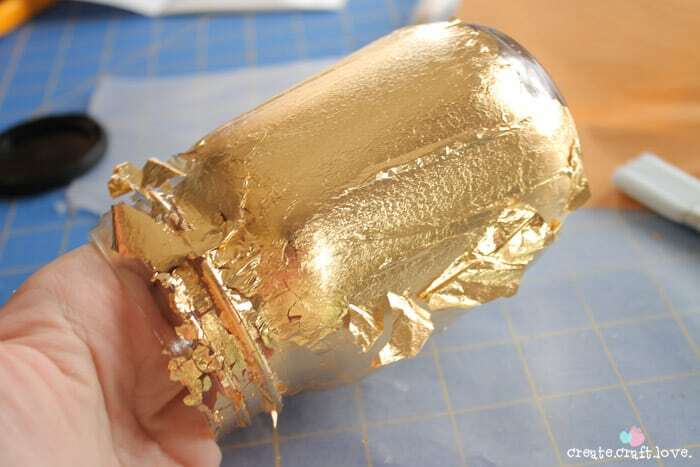 Have you ever gold leafed? I had not. Believe it or not, it’s super easy and I’m going to walk you through it! I wanted a chipped, aged look. Thankfully, my gold leafing skills are not perfect and I was able to achieve this look easily…LOL! I purchased the Mona Lisa Gold Leaf at Hobby Lobby. You will need the adhesive size adhesive (redundant, yes? ), gold leaf sheets, and sealer. 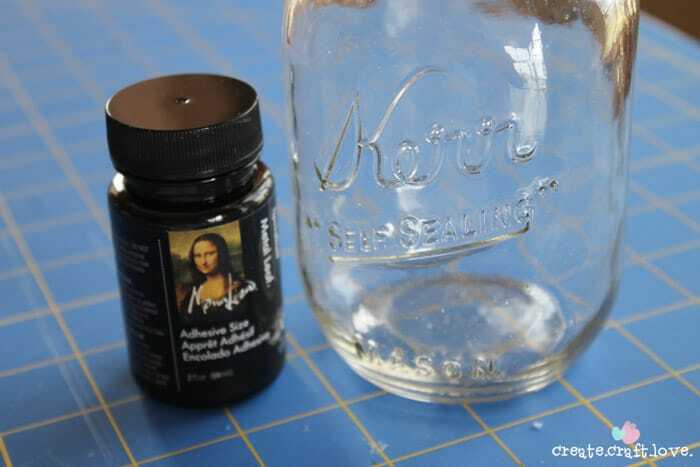 Begin by applying a thin coat of adhesive size to your mason jar with a soft or sponge brush. It goes on milky white but dries clear within 30 minutes. After 30 minutes, the adhesive is sticky. 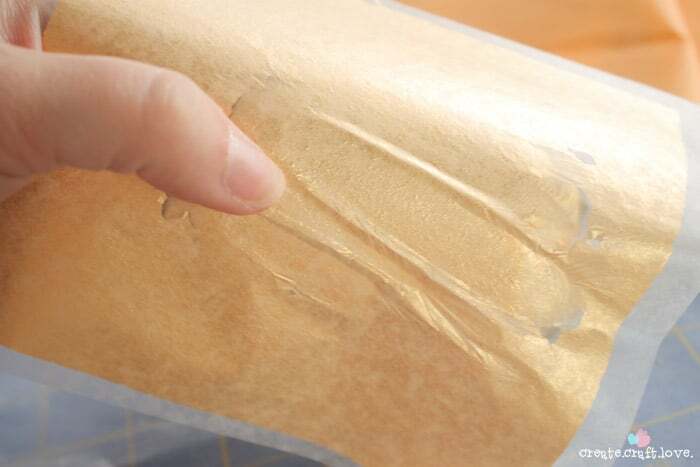 Once 30 minutes has lapsed, you can apply the gold leaf sheets. Each sheet is backed with a wax paper to help with transferring it. 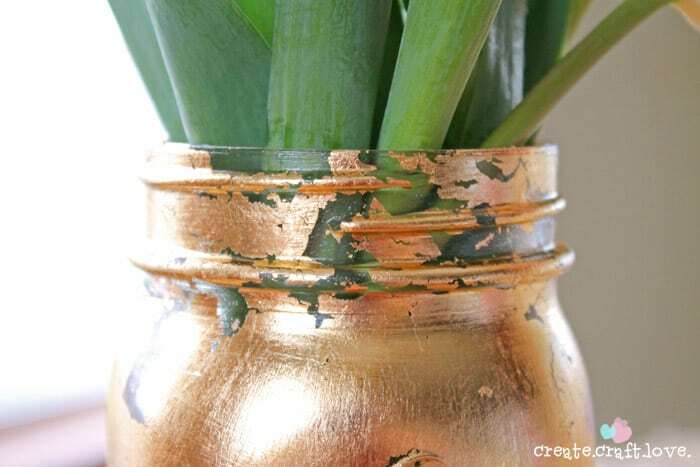 Simply apply gold leaf side down to the surface and brush it in place. 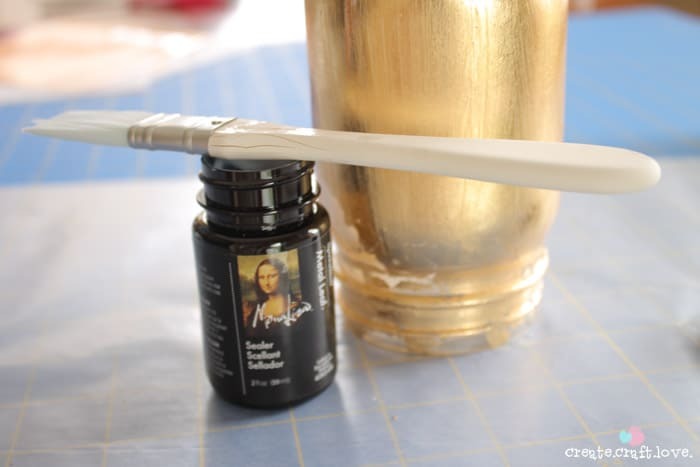 Take a soft, dry brush and smooth out the gold leaf. 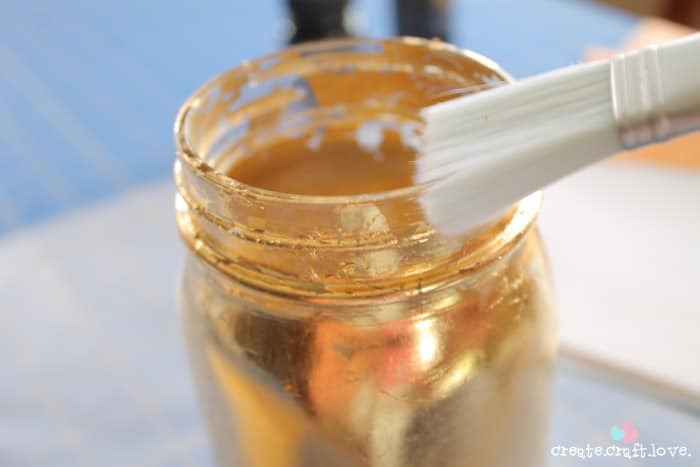 Continue applying gold leaf sheets and smoothing out with the dry brush until your entire surface is covered. After you are satisfied with the smoothing process, you will apply the sealer. Again, this will go on milky white but will dry clear. Overall, the whole process takes about an hour. 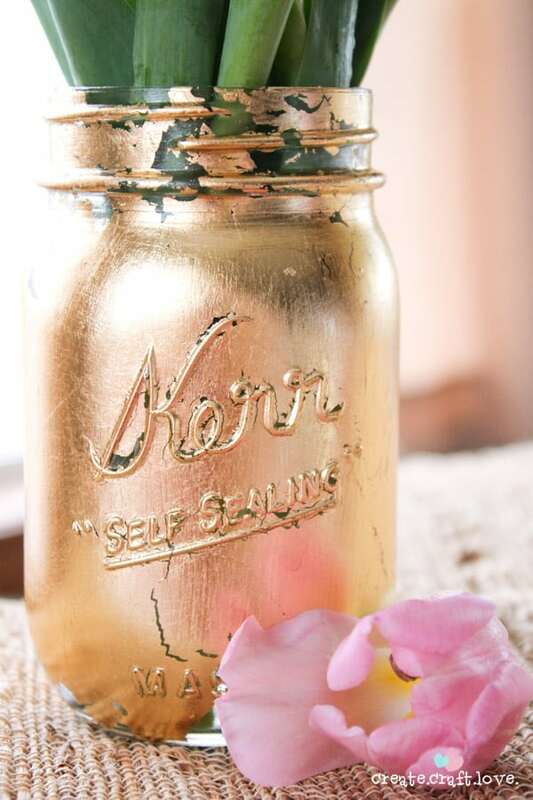 I love the antique, vintage look to this Gold Leaf Mason Jar Vase! This vase would make a fabulous Mother’s Day gift! Add some of her favorite flowers and all done!